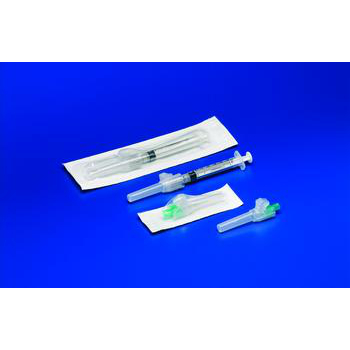 The Covidien / Kendall Magellan® Safety Needles are needle-based safety devices that protect the healthcare worker from accidental needlestick injuries. The Covidien / Kendall Magellan® Safety Needles are needle-based safety devices that protect the healthcare worker from accidental needlestick injuries. The easy, one-handed design and robust safety shield ensure the clinician is protected against any exposures from sharps injury. Needle Lengths: 0.625" ; 1" ; or 1.5"
Quantity: Sold in cases of 500 only.